In OK, David Rozenfeld completed a good qualifying practice finishing in tenth place. The Russian driver was available to keep the pace during eliminatory heats, finishing in twelfth place after all the heats. This meant that the Russian started prefinal B from sixth place. A good prefinal allowed our driver to step up into third place. Rozenfeld therefore was in a good position for the final, starting in sixth place. It was a difficult final for Rozenfeld who finished the in sixteenth position. 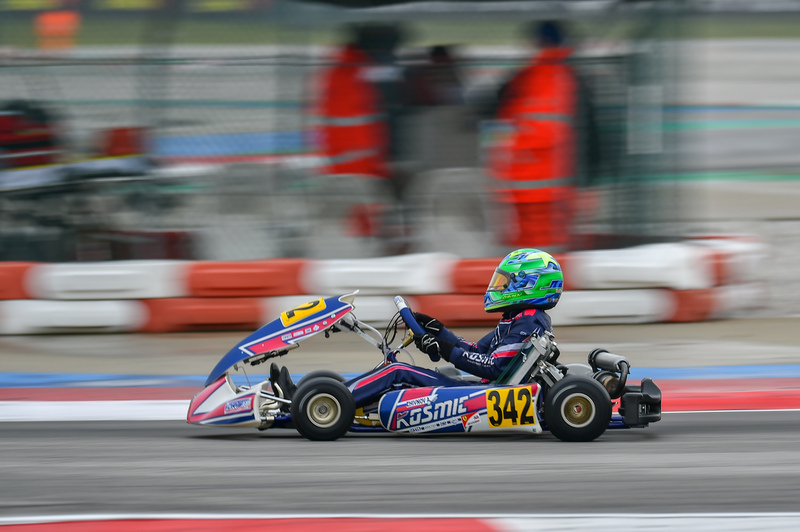 Andrey Zhivnov was the best of Racing Department drivers during qualifying practice in OK-Junior class, finishing in 23rd place, while Alexander Gubenko and Axel Malja finished in twenty-eight and forty-two positions, respectively. Rainy conditions during eliminatory heats were tricky for Kosmic Racing Department with Zhivnov finishing in 31st place overall after qualifying heats, immediately followed by Axel Malja and Alexander Gubenko. Complicated prefinals only were successful for Gubenko who advanced to the final. The Russian completed a good final finishing in position 22. Meanwhile, in final B, Zhivnov finished fifth after fighting for the podium, while Malja found himself in trouble after been hit by another driver. The next race for Kosmic Racing Department will be in two weeks in South Garda Karting in Lonato, for the 24th edition of Winter Cup.